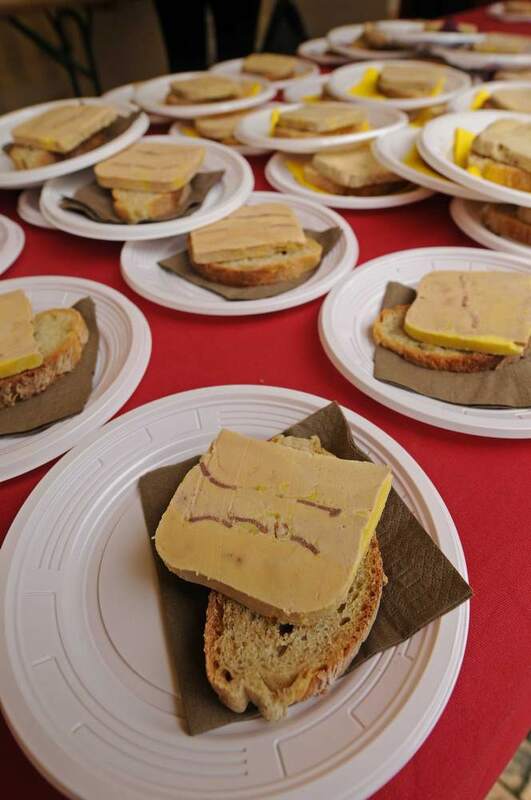 Every mid january for five years now, Sarlat is the place to be if you enjoy French gastronomy especially if you like black truffle, foie gras and the local wine to come along, the Monbazillac. 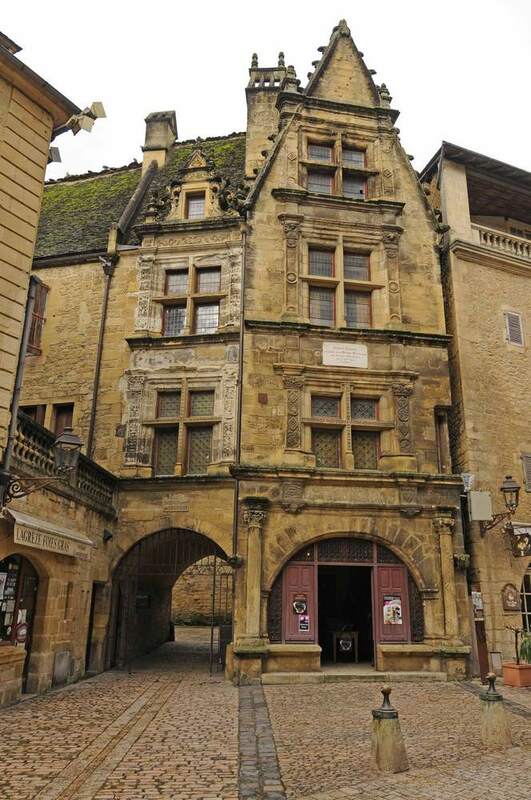 Sarlat is the capital city of Perigord Noir and the « Truffle Feast » being held for 3 days is the perfect occasion to discover this médieval town: narrow streets lined with half-timbered houses, mansions from the Renaissance period. In Sainte Marie church that was falling into ruins and was restored by Jean Nouvel, a famous French architect, take the elevator to the top of its belvedere and get a spectacular view of the town. Truffle is a mushroom growing underground, living in symbiosis with the roots of specific trees, mostly oak trees and hazel trees planted in a calcareous soil. Don’t hesitate to visit a farm where truffles grow. You will be surprised to discover a fenced field with a safety locker: being quite expensive, truffles are highly coveted by thieves. A trained dog is essential to find the hidden treasure. Going from one tree to the other, it will take it only a few moments to spot one and call his master by gently scraping the ground. It will get a biscuit and go on searching, happy to help. 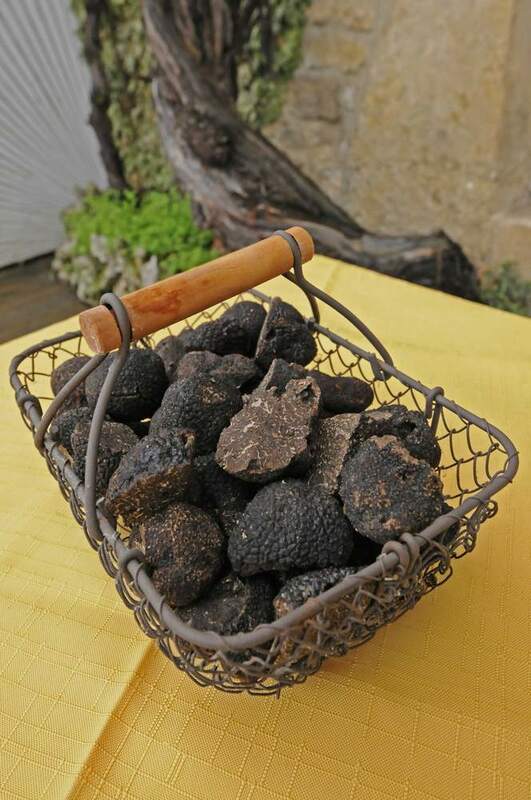 For 3 months from December to February, every Saturday morning a market dedicated to truffle is held in Sarlat. It is interesting to watch the customers smelling the precious mushroom, weighing it in their hands, trying to haggle over the price. Then after a discreet exchange of money the deal is done! 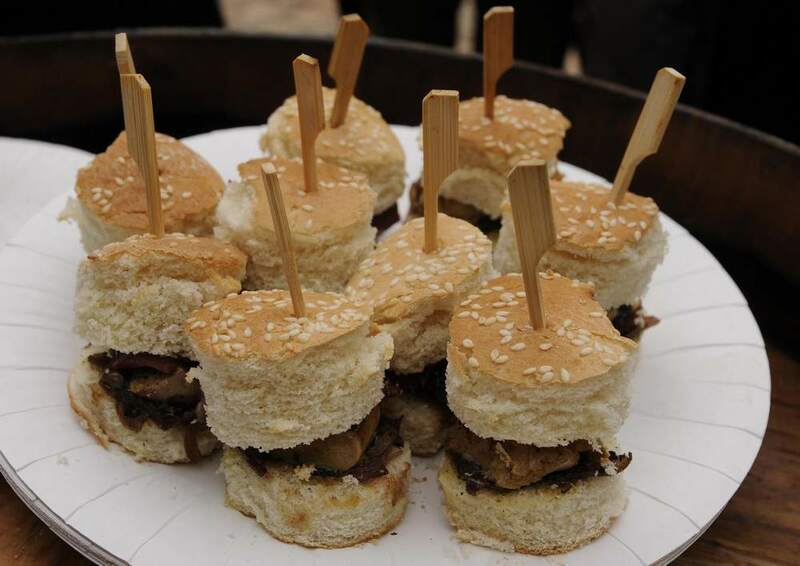 The “Truffle Feast” is the opportunity to learn a lot about truffle. For 3 days there are many workshops you can take part in and learn how to recognise, smell, buy and cook truffle as well as foie gras. 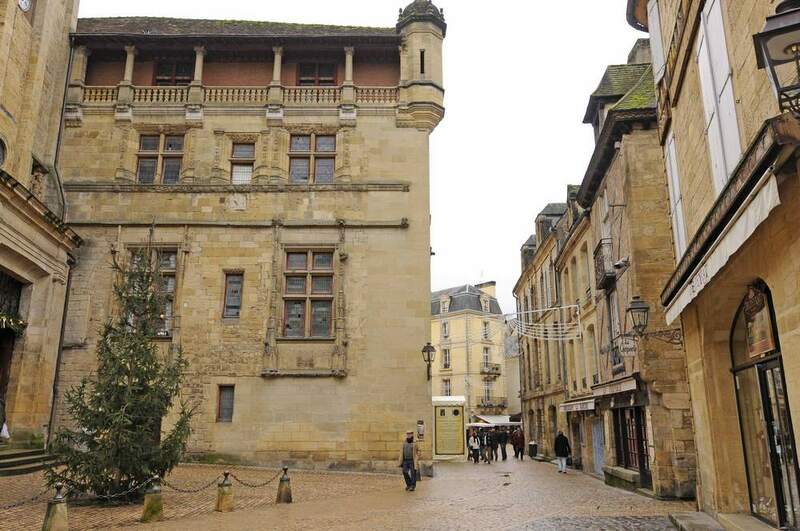 The city centre is converted into a huge open-air restaurant and in spite of the cold weather there are hundreds of people eager to taste special dishes prepared by the cooks from the restaurants of Sarlat. 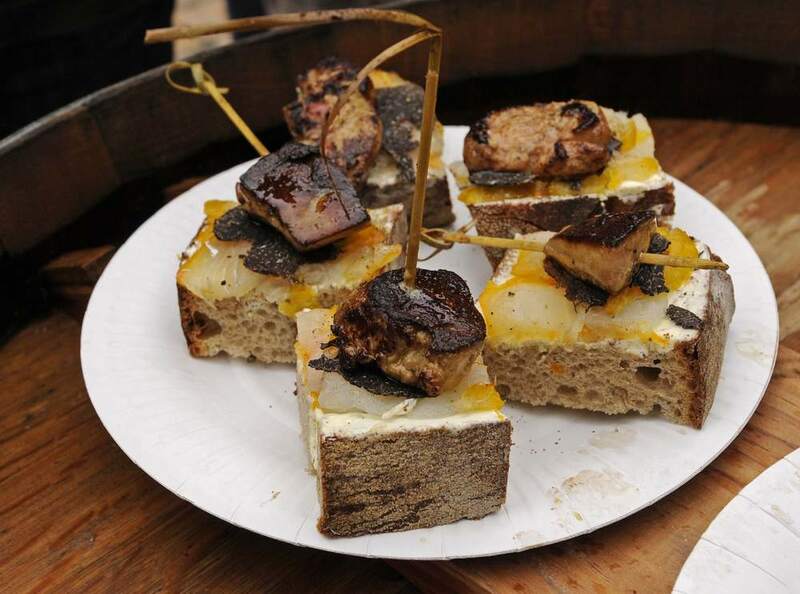 They are called “croustous”, a kind of tapas from Perigord as truffle omelette, foie gras sandwiche, pasta with foie gras and truffle sauce, scallops’ carpaccio with thin slices of truffle, and so on and on… The chefs’ imagination is limitless! If you feel like you can have some more, the daily market will provide any local product you may want to bring back home. The nearest airport, Brive airport, at less than 30 milesfrom Sarlat has direct flights from London City by City Jet and soon, from April 2d, from London Stansted by Ryanair.